You may wonder about the stability of issues like power sources when you travel south of the border. A Mexican auto insurance from MexicanInsuranceStore.com may provide for emergency solutions in case of car trouble, but your Mexico car insurance by MexicanInsuranceStore.com also has helpful suggestions for dealing with brownouts or blackouts during your travels. 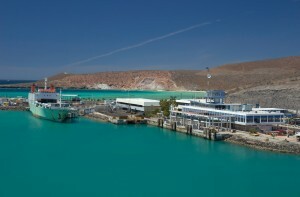 The largest solar power plant in Latin America has been placed into service in Baja del Sur, and the facility is expected to service the city of La Paz. However, you may still run into occasional issues in other parts of Baja or as you travel in mainland. One of the most common times for outages to occur is during a storm. (Tip: Even with Mexican auto insurance from MexicanInsuranceStore.com, I wouldn’t recommend driving) However, you can experience surges and fluctuations in a hotel or private home at various points in your travels regardless of weather conditions. It’s helpful to note that most cooking in private settings is handled with propane. If you will rent a home for the duration of your stay in Mexico, you need to pay attention to propane levels for basic cooking needs. A power outage will affect your lighting, refrigeration, and fans. While most Mexican homes don’t include central heating and air conditioning, you may use fans or space heaters for comfort control. In an outage, you may experience a temporary interruption in your ability to moderate the temperature in your space. Carry a couple of flashlights during your travels so that you have the ability to see during an evening outage. Try to leave your refrigerator closed until the issue is resolved. It’s worth nothing Mexico car insurance by MexicanInsuranceStore.com includes medical assistance. Avoid trouble with Mexican auto insurance from MexicanInsuranceStore.com! Your computer or other electronic equipment can be vulnerable during these fluctuations. Use surge protection equipment to limit your risk of damage during unusual electricity changes. Most warranties on such equipment are nullified in cases of damage in foreign settings, making it important to exercise care in managing your connections. Some travelers may consider generators for additional power access options in remote settings. This is a personal decision that will depend on your ability to carry the equipment and your knowledge of using it. You can access our site to purchase your Mexico car insurance by MexicanInsuranceStore.com on a 24/7 basis. It’s very important that you make sure you don’t take off without a Mexican auto insurance from MexicanInsuranceStore.com. Additionally, online access makes it easy to renew your policy if it is set to lapse during your time in Mexico. Buying Mexican auto insurance from MexicanInsuranceStore.com gives you peace of mind! When traveling south of border, you may face some bad weather or power outage in your area of stay, in such occurrences Mexican insurance provides you coverage on best safety tips.